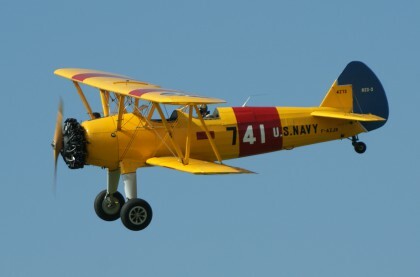 The Stearman (Boeing) Model 75 is a biplane used as a military trainer aircraft, of which at least 10,626 were built in the United States during the 1930s and 1940s. Stearman Aircraft became a subsidiary of Boeing in 1934. Widely known as the Stearman, Boeing Stearman or Kaydet, it served as a primary trainer for the USAAF, the USN (as the NS & N2S), and with the RCAF as the Kaydet throughout World War II.